I'm a very easily entertained individual. My proof? I just bought a steam cleaner for my vinyl/linoleum (not sure what it is exactly) floors, and I'm actually excited about it. Let's hope that it can make a difference in my horrible flooring. I hate having a color and texture to the floor that always looks dirty, no matter how hard I try to clean it. That's what you get when you rent, though! We had almost that same pattern growing up and my mom hated it for the same reason. You're going to love it! 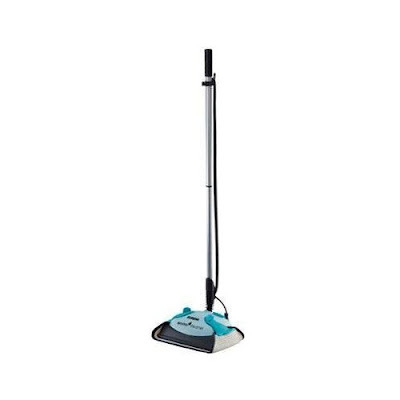 I bought one for our tile floors and I love to clean the floors now!